British leather goods brand Mulberry celebrated their Autumn/Winter 2018 collection with the launch of Eccentric Sensibility at the K Museum of Contemporary Art on 6 September 2018 in Seoul, South Korea. A vibrant catwalk show was opened and closed by renowned models — Soo Joo Park and Edie Campbell. Model Soo Joo, Johnny Coca and Edie Campbell. 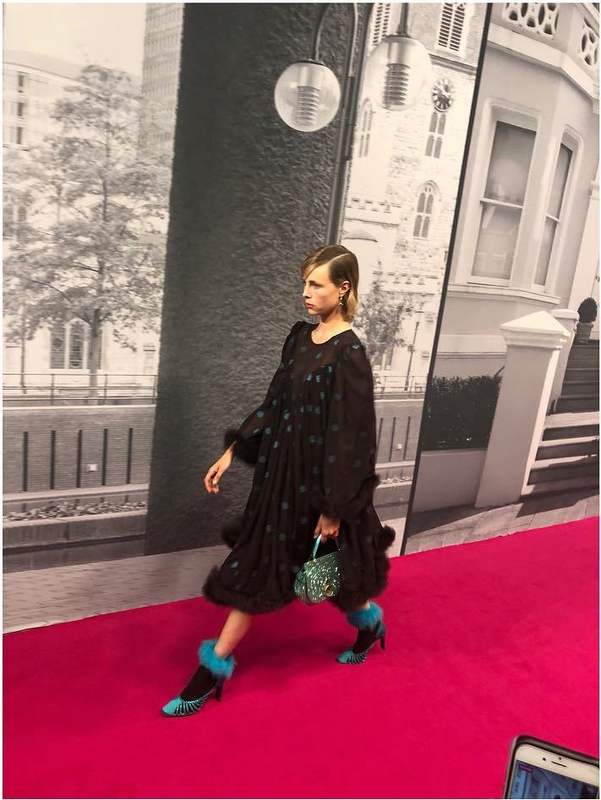 #EdieCampbell at the #Mulberry #AutumnWinter2018 show in #KMuseumOfContemporaryArt #SeoulKorea . . #mulberryxseoul #johnnycoca #멀버리x서울 Regram #instastories of #mulberryengland #voguekorea #wkorea #cosmopolitankorea . . See all the modelling work of Edie Campbell at the fan site 📲 Link in bio . .